Measures 4 in. W X 14 in. H , made of high quality plastic with integrated electronics and adjustable steel. 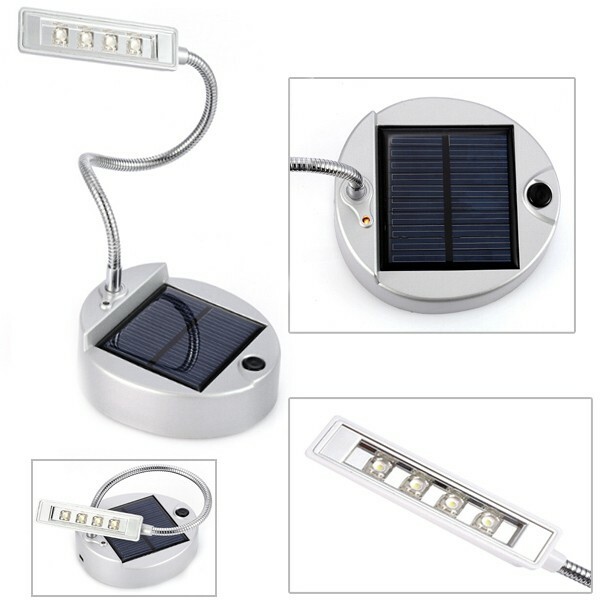 Features portable lamp design with 4 bright LED bulbs, mini USB port for charging, and solar panel base for sunlight charging. Customize with the design of your logos or decorations. It is marvelous for schools, supply stores, company events and many more.